I provide coaching services both in person or virtually. I love helping runners achieve their "firsts". Whether it's their first runs, their first race, their first marathon, etc. I love helping runners to stay motivated to reach their goals and to stay healthy so that they can stay runners for life. 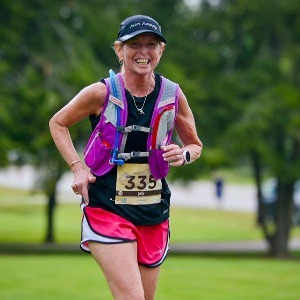 I have been running since 1978 and have not missed a day of running since 1985, I have experience running race distances from 5K to the marathon. I have completed a 30 mile run on the 30th anniversary of my running streak. Success. Coach Judy Mick has been notified of your message.